I have some sweets in both garden the ones in the sun look bad but are growing better than the good looking ones that are in a more shaded area. As you may know we have be around or over 100 degrees since before I can remember. I am wondering if this is the problem. But other than "aphids cause wrinkling of young leaves", I didn't see any other reference unless you want to include the "unknown" disease that only occurs in Kenya (or something like that) mentioned at the very end. But I may have missed something since I only skimmed. This is unrelated, but I also came across a Japanese website page comparing growing sweet potatoes slips -- one method in a high tunnel and the other using a hot/manured bed and low tunnel INSIDE the high tunnel with the result that using multiple techniques to extend the early spring season allowed the grower to harvest usable slips for his own use much earlier than previous year, as well as allowing him to grow substantially more slips to sell in bundles to customers. Yes Apple same variety in both beds. Not sure of the variety I have been growing from the same stock for years. I picked them up from a local grower a few years. Yes the other plants look normal with non crinkled leaves. These have looked like that from the get go. Not sure if this matter but it just came to mind that this is where I had a few rows of tomatoes this year that had what I believe was curly top virus. Hmm.... But that affects regular potatoes, not sweets. 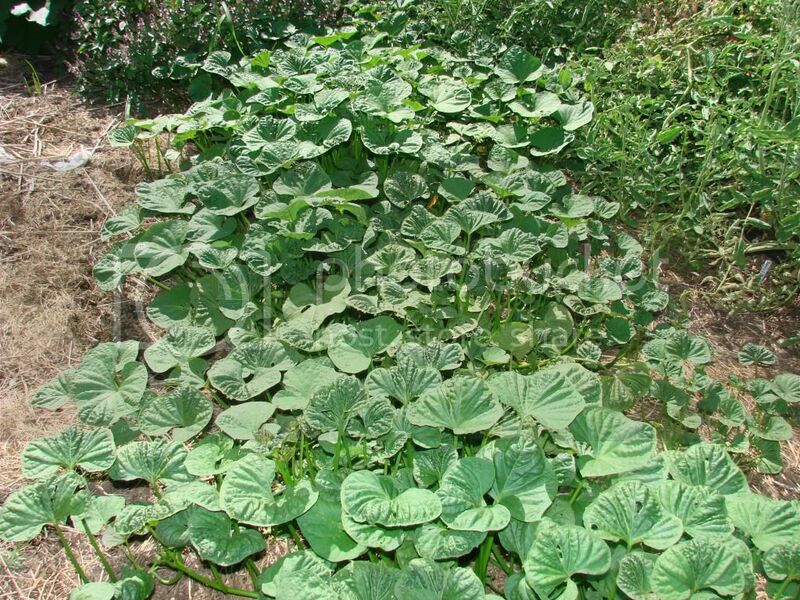 It should be pretty safe to rotate solanacea with sweet potatoes (ipomoea).... Morning glories are members of ipomoea so you do want to avoid those. 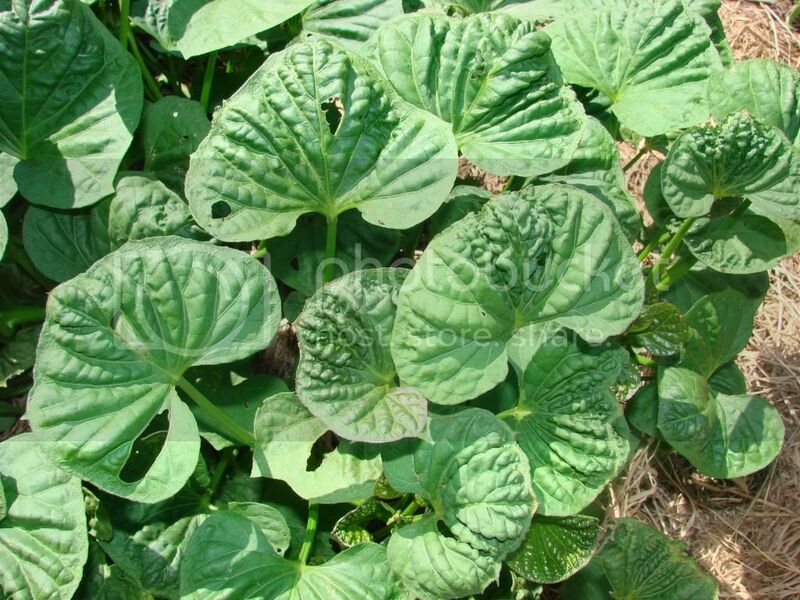 There IS aomething called "sweet potato leaf curl virus", but that looks nothing like your puckered wrinkly leaf vines. The only pictures that looked similar to me were the melon (yellow) aphid damage. When will you be able to test dig? I probably will not mess with them till harvest time in Oct or so. I looked at that link really quick this morning I will look again later. These have been in 3-4 weeks maybe a little longer. They are still growing like mad so I guess we shall see what comes of them. My other bed is more shaded they are not nearly as big but like I said the leaves look normal.